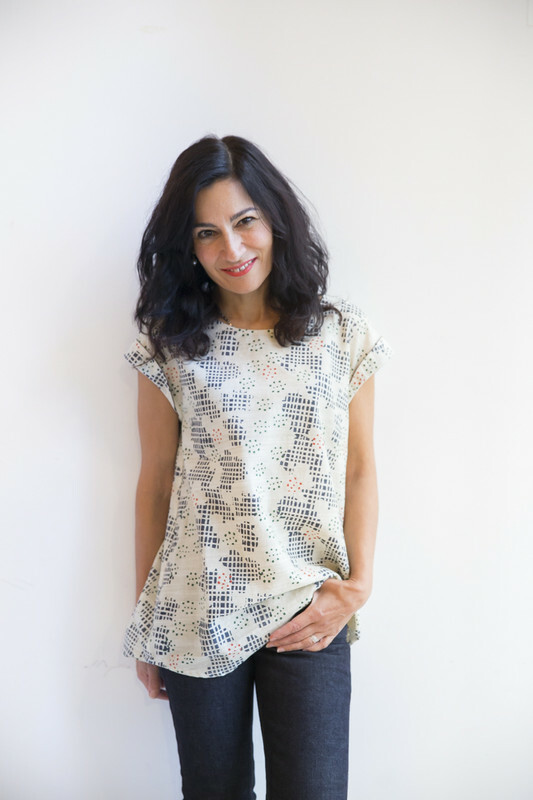 Over the course of her career, Safia Minney has been a pioneer in ethical business, establishing Fair Trade supply chain solutions, defining PR and marketing campaigns and defining the strategic directions needed to reach new markets. At the heart of everything she has done has been a creative force and passion to deliver social impact and sustainability. Safia's work draws on years of experience from her time in publishing from the age of 17. At Creative Review she led a Marketing and PR team. Safia then started a marketing agency working with Advertising Age and specialised in arts, political and green publications and environmental organisations like the New Statesman and Friends of the Earth. At the age of 25 Saf went to Japan where she learnt Japanese and worked for The Body Shop and started Global Village and People Tree. Safia has been recognised and won lots of awards, but even an MBE doesn’t get you a seat on the Northern Line in rush hour! In 2006 Safia was recognised by the World Economic Foundation, Schwab Foundation as one of the world’s outstanding social entrepreneurs, she was awarded Social Entrepreneur of The Year in the Edge Upstart Awards. Profile shot of Safia Minney on this page and the home page both taken by the talented Akio Nakamura. Angelina Jolie joined her table 3 minutes before she gave her lunchtime presentation." Safia's early years spent at Creative Review magazine gave her a firsthand experience of the advertising industry. She felt that creativity and communications should be used to make the world a better place. At 22, she started a social marketing agency working with arts, current affairs and environmental groups, like New Statesman, Friends of the Earth and Spare Rib. Safia moved to Japan, studied the language and began work for Amnesty International and The Body Shop. She launched Global Village, an environmental organisation 1995. By 1996-7, she’d launched her first fashion collection and People Tree in Freedom Hill, Tokyo. Safia's famous love of Valentine’s Day, sweet tooth and of the Japanese culture of “giri choc” - when women give chocolate to all the men in the office! - compelled her to launch the first Fair Trade and organic chocolate bar, which now has popularity throughout Japan. Safia starts People Tree in London, selling Fair Trade and sustainable fashion and accessories. Today there are 200 stores around Europe selling People Tree. The company is the first to receive the WFTO label of certified Fair Trade throughout the supply chain in 2014. In 2010 Emma Watson works with Safia to design a collection and mainstream Fair Trade fashion.